Everywhere you look on the internet today (and last night) you will find an article either in defense of “How I Met Your Mother” or an enumerated list of what the finale did spectacularly wrong. In an effort for catharsis, I too need to air my grievances with the finale; after all, what’s the use of a blog if you can’t use it for a good ol’ rant. But first I’d like to comment on my title’s assertion, that this show will become a case study of the planned narrative versus a show with a more rambling, flexible structure. As intricate as the timeline became on the show, the writers were always pushing toward one end goal, established after the first season. And for whatever reason, deviating from this end does not appear to have been an option for the creators, even though the show morphed into a long running hit that slowly altered the character dynamics. Nowadays writers can go on the internet and get a general feel of what fans are thinking and feeling, but apparently the end game was set in stone and inflexible. This failure to adapt to the changing show dynamics is as disastrous as writing a show with no end game in mind that will inevitably be unable to wrap up a complex mythology. In the end, I think a successful formula is to have a well thought-out idea about your show when you get to your pilot or halfway through the first run of episodes. How do you foresee the plot trajectory? When the series ends, where will a particular character likely be? With these ideas in mind, you can write coherent stories that are true to characters, but at the same time be more adaptable. Do two people have surprising chemistry? See where it leads. Change your ideas just as real human beings change their minds. Obviously the ability to stick to a mishmash of the planned versus flexible is highly dependent on the foreseen lifespan of a show as well as a particular show’s subject. We spent the entire season, not just on Barney and Robin’s wedding, but also reinforcing how much Barney and Robin love each other and were making the right choice by getting married. Never mind the fact that Barney’s elaborate proposal plan was, for me, one of the most enjoyable moments of the penultimate season. Obviously the creators knew that the marriage was doomed to failure and still thought staging an entire season around it, then abruptly erasing the marriage three years later was a good idea. One of my biggest pet peeves is recognizing where and how characters react solely in service of an outcome the writers want to reach. The plan here: Barney and Robin get married, freeing Ted from Robin (enough to meet the mother), Ted gets to have the family he always wanted (a point of contention with Robin when they were a couple), Barney and Robin get divorced, the mother eventually dies, and after a tasteful six years, Ted pursues Robin again. Barney finally becomes a father. This I have very mixed feelings over. On the one hand, the only reason I was confused over Barney and Robin getting married was, once again, Robin’s stance on children. A few seasons ago made it very clear that Barney wanted to have kids, and that was never something Robin wanted in life. I’ve already struggled with my feelings over the episode where Robin finds out she can never have kids, in a time when Barney and Robin were not even a couple. But the show led me to believe that Barney’s love for Robin trumped his desire for children. Speaking of Barney, we as viewers expect (and desire) to see our characters grow, learn lessons, and develop along different paths. 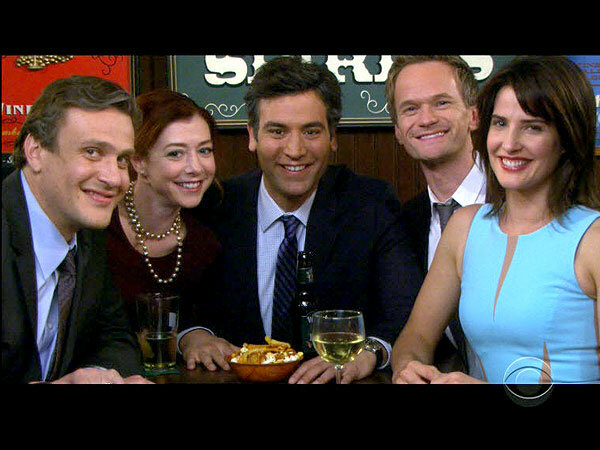 Most striking in “How I Met Your Mother” is Barney renouncing his womanizing ways to settle down with Robin. However, and most disappointingly, Barney immediately reverts to his old ways following his divorce. The show seems to suggest that we prefer the old Barney and the reintroduction of the playbook…but I can easily imagine some viewers did get a chuckle out of seeing some new plays. Certainly not this viewer, who saw it as the ultimate backslide. Anyone that was remotely concerned about the “mother is dead and Ted is going to hook-up with Robin” theory could see from a mile away that it was actually happening almost immediately. Once again the story gears ground toward that conclusion throughout the majority of the finale, particularly with the emphasis on Robin’s absence from the group. The finale (although obliterating the friend group for a large portion) was still an exercise in wish fulfillment for the characters. Lily gets to go to Italy. Marshall gets his judgeship after a few years of demoralizing work. The show remembered that Barney wants children so he gets a daughter and is partially cured of his womanizing ways.(?) Ted gets to be with the mother for a decade and then gets to be with the love of his life Robin. Robin gets to travel the world. Tracy is the real loser in this scenario. She loses her first love. She finds love again with Ted only to get sick and die while her kids is still young. What did she do in a previous life to love and lose so much? Finally, what happens with Barney? The show implies that having a daughter cured him of chasing younger women and perhaps led him back to the man he was when he married Robin. Does the show have any definitive answer on whether Barney would settle down again, solely concentrate on raising his daughter, or…? He seems to disappear from the narrative. (Of course I could be forgetting any number of flash forward scenes that give a clue to this). Like I said, there are plenty of articles outlining these points and just how much the finale screwed over the characters, the storyline, and the viewers. This write-up by James Poniewozik at Time expertly examines and expands on many of these same points. His review not only encapsulates the faults of the finale, but also my sentiments in the wake of the end of the series as a whole. Grad student at the School of Conflict Analysis and Resolution at George Mason University. This blog is an attempt to condense the craziness that is my TV viewing habits (with the occasional aside into film, music, and general life). You express my thoughts so well! The whole picture thing really messed me up too. 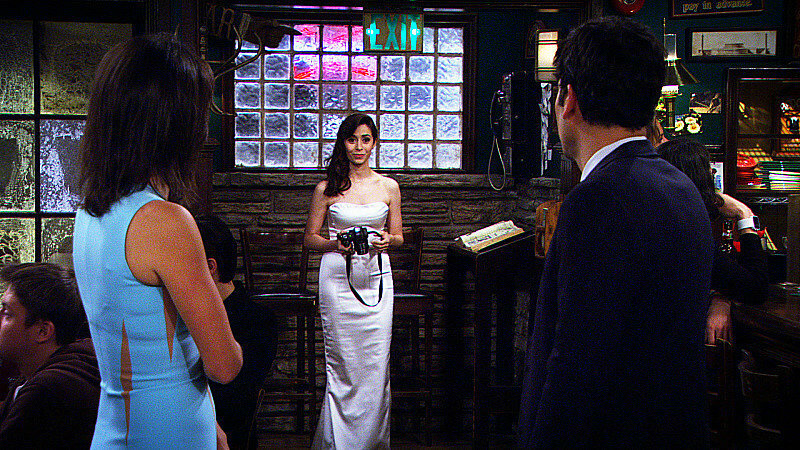 Remember that episode where Lilly accuses Ted of bringing girls to special events and then the girl ends up in the group picture and the picture is ruined when Ted breaks up with her? It’s like they knew that the mother was not the real “one” for Ted and she was just another stepping stone on the way to Robin. The writers tricked us into thinking that people could actually grow and move on…Marshmallow and Lillypad being the exceptions and the only one with whom I wasn’t frustrated when the credits started rolling.